Order on the Web: it's fast, easy, and secure! We also welcome orders by phone, fax, or mail. 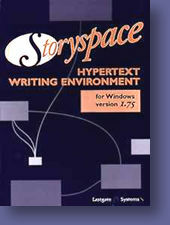 Real people answer our phones -- people who use Storyspace every day.